How to find extra work in TV or films? Finding extra work in a TV show or a film can be challenging, especially, if you are a young artist. This is because, being new to the entertainment industry, you might not be having any contacts or references to help you get invitations to the casting auditions for film extras and television extras. And, unfortunately, casting auditions are the must for anyone who wants to get extra work in TV or films. So, if you wish to know where TV extras and film extras are required, you have two options. The first option is to look for a casting agent or casting agency. Both casting agents and casting agencies help young artists find extra work through their network of contacts. The casting agencies work for several production houses and film producers. They keep themselves updated where actors are wanted and where television extras and film extras are required, and inform the interested actors/artists about the same. With the help of your casting agents, you can reach the casting auditions and try your luck to grab the extra work. The second option is to use the Internet for finding the extra work. For the uninitiated, there are several sites where you can find listings for TV and film extras, casting auditions calls for lead roles, dancers, comedians, models, and so on. 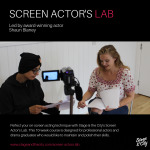 Casting agencies and producers and directors themselves post the ads if they need TV extras, film extras, or actors for lead roles in their shows and films. If you don’t find the casting audition call for the extra work that suits your individual acting skills or your needs and requirements, you may even post your acting profile online. As such websites are viewed regularly by casting agents and TV and film producers/directors, you might soon come across a good opportunity. Though you may choose any of the above given options, it is advisable to consider the latter for quick and effective results. Compared to the casting agents and casting agencies, the websites that offer online listings of extra work are more reliable and promise better results. Further, they charge only a modest commission for viewing the listings for television extras and film extras and there are no commissions on the work you get through them. If you are interested in visiting one such site to find extra work, you may visit www.castingnow.co.uk The website is the largest platform for aspiring artists to be on TV and to find work in films, theatres, advertisement campaigns, and several other projects related to the entertainment industry. Those looking for lead roles in films, fashion modelling roles, and TV presenting jobs may also visit the site.